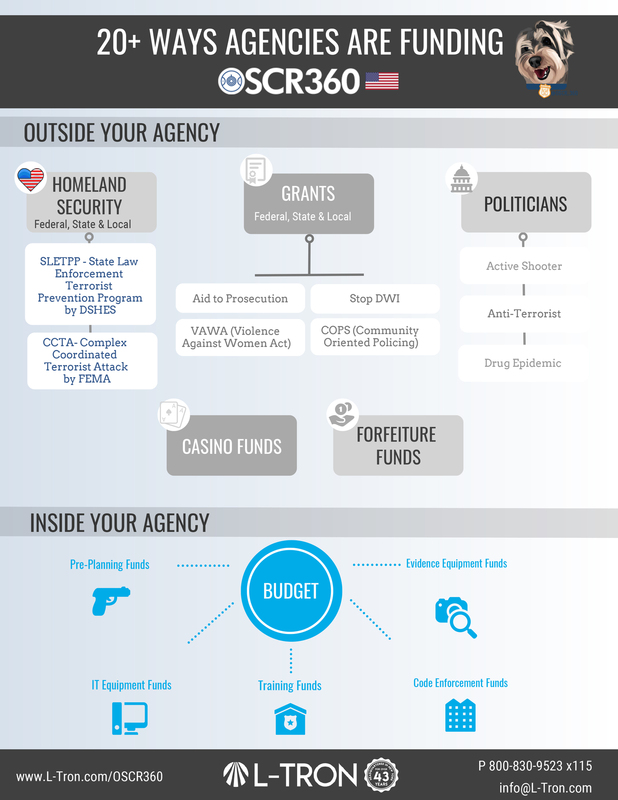 In this Infographic, you will learn how to fund your OSCR360. This past year, OSCR has traveled to over 200 Federal, State, and Local Law Enforcement, Fire, Environmental Safety agencies, as well as schools and universities nationwide. Click to view where OSCR is going. Everyone is falling in love with with the system, and everyone is asking us the same question: how much does OSCR360 cost? The OSCR capture kit and desktop software is offered for under $10K. 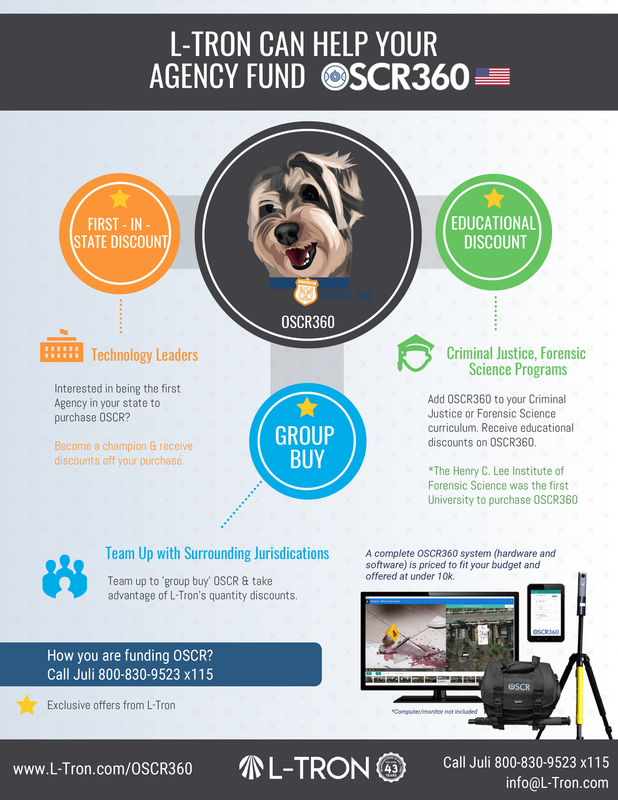 We have created this infographic to help you see different ways you can fund OSCR. Educational Discounts – Join the Dr. Henry C. Lee Institute of Forensic Science and add OSCR360 to your curriculum. Group Buy – Team up with surrounding jurisdictions and pool funds to purchase OSCR. Quantity discounts are also available. Click to read more about your funding options here.